Kevin was the former Band Master of the Royal Marine’s Band, Plymouth, serving numerous tours on the Royal Yacht Britannia, afterwards working in the Royal Naval Careers Service, becoming the South West Peninsula Recruitment Manager. In Total Kevin served 41 years for the Royal Navy. Following this he became the manager of the Plymouth Driving Test Theory Test Centre for 15 Years. After his retirement Kevin joined us as Parish Volunteer for South Brent and Buckfast Abbey in 2010 and has tirelessly worked for CAFOD’s Plymouth Office since 2013. Kevin is a key member of our team, each week Kevin supports the CAFOD team in the Diocese of Plymouth by meticulously updating CAFOD’s database, Activity Log and contributing to the day to day tasks of running the office. Kevin said “Its great to put my faith into action alongside the CAFOD Plymouth team and our terrific partners. I really feel like I’m making a real difference to the lives of the poorest people in the world and to CAFOD’s work in the Diocese of Plymouth”. Kevin is such a pleasure to work with and his commitment to CAFOD’s work and his dependability are truly inspiring! Thank you Kevin, you are fantastic! 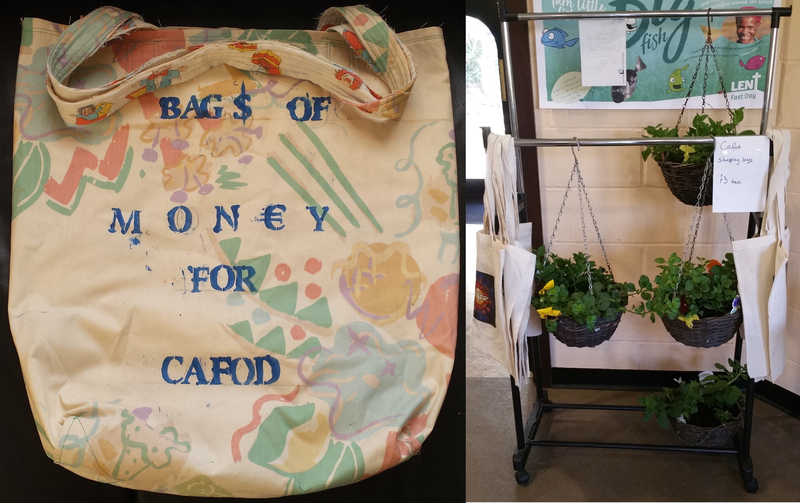 – Your amazing service and volunteering enables CAFOD’s work in the Diocese of Plymouth to continue to have a huge impact, and enables our sisters and brothers around the world to truly flourish.